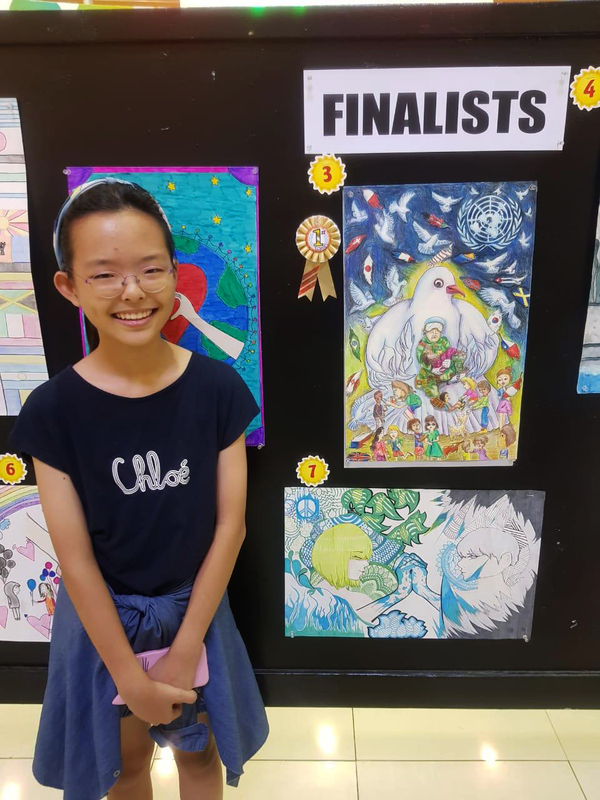 St. John’s 5th grade student, Grace Kang won first place at the island-wide Lions International Peace Poster Contest sponsored by the Lions Club Guam under Latte Lions Club Chapter. The competition was held on November 12, 2018 at the Agana Shopping Center Court. Her artwork centered on this year’s theme, “Kindness Matters”. Grace’s poster was among more than 450,000 entries submitted worldwide in the annual Lions International Peace Poster Contest. Lions Clubs International is sponsoring the program to emphasize the importance of world peace to young people everywhere. Her poster will be the official entry for Guam that will advance to the international level in New York.